A recent test of the 3-row premium QX60 crossover from Infiniti left us impressed. Like all the competitors in the segment, the Infiniti makes us wonder why anyone needs a full-size SUV anymore. The QX60 was packed with goodies, but what we realized is that as far as we know, it is the only non-hybrid premium crossover offered with a CVT. It didn’t take us long to realize that like other recent Nissan vehicles we have sampled; we are starting to prefer CVTs in our-our non-performance vehicles. 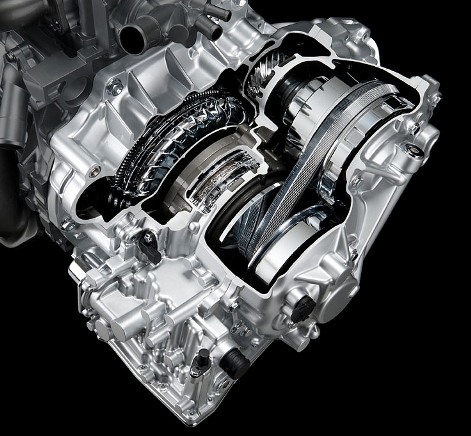 Infiniti is the first to have the guts to put this type of transmission in a premium model, and our opinion is it works. This opinion of mine has come full circle. Aaron Turpen, our Torque News writer with a focus on Nissan and Infiniti, and I have had some spirited debates over the past four years about CVTs. He was an early adopter of the technology in a sense and saw the potential. This is a guy that knows cars as well as anyone, so I tried to keep an open mind and look for the good in this new technology. Now, after a few iterations of CVTs, my opinion on the transmissions, at least in some cases, is that they are better than geared automatic transmissions. Nissan was the first U.S. market automaker to embrace the constantly variable transmission (CVT). These gearless transmissions started out with one major advantage. Simply put, they improved fuel efficiency scores too much to ignore. While many automakers are now offering eight, or even nine speed geared transmissions, the CVT is simply more efficient than these. However, auto enthusiasts who tried the first wave of CVTs were dismayed by two main habits of the CVT. First, they droned and would make unpleasant sounds when they “relaxed” after acceleration. Second, the shift-less feel was unfamiliar. Part of the charm of liquid-fueled vehicles is that they have a distinct sound and feeling as they shift up and down. We drivers who grew up with them have been conditioned to like that. Nissan and Infiniti listened to customer feedback and worked to change the feel of the CVTs in their vehicles. It worked. The excellent 3.5-liter V6 works so well with the CVT that it is hard to imagine a better pairing. The sounds and feelings during acceleration, deceleration and cruising are all pleasant. You still get a great engine roar when you floor the QX60, and at the end of your ramp up of speed there is no drone as the CVT settles the engine down at a lower RPM. During cruising, the CVT is always smooth. Rather than miss the shifts that a geared transmission would offer, I now get a bit annoyed at feeling them in the vehicles I get after a CVT-equipped car or crossover. Troublesome transmissions, including CVTs by other automakers, were recently a spotlight topic in the Consumer Reports Quality Survey Summary (fast-forward to time stamp 7:15 if you try the link). Bear in mind that not all CVTs are the same. We assume that the feeling of the CVT may have made up a large portion on the quality complaints that drove that result. In defense of CVTs, dual-clutch transmissions were also troublesome to owners in this year’s report. Infiniti has worked very hard to improve and refine its constantly variable transmissions. If you are considering a vehicle equipped with one, go into it with an open mind and don’t take too seriously old blog posts (even those written by me) that warned consumers away from the technology. Things change over time. In this case for the better. In my experience, the two companies that seem to have really figured out how a CVT should work are Nissan/Infiniti and Subaru. I agree. For both the Trans is an asset. CVT. Hogwash. Nissan/Infinity have a long history of making CVT automatic transmission that are JUNK. Buy a vehicle WITHOUT CVT especially any Nissan/Infinity product. Yep...the CVT in my Murano died at 80K and had to be completely replaced, to the tune of 4K with labor. The shop said they saw the early death of the CVTs more often, so I'm staying away from them in future!